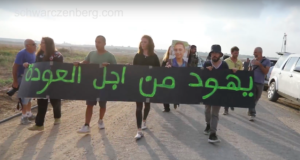 Two international activists are released following their arrest and court hearing in Jerusalem, while a Palestinian man is still under custody following a peaceful demonstration in Beit Ommar that occurred on June 25th. Both activists were blindfolded for three hours at a military base, and then taken to a police station. 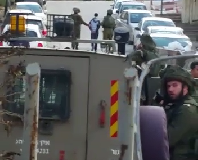 One of the activists was released after 12 hours, and the other was released after 24 hours, after being taken to jail and court in Jerusalem. They were both released without charges. 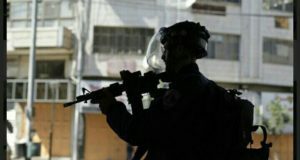 The Palestinian man, however, is still under custody awaiting his trial in court, which has been postponed until Thursday, June 30th. Beit Ommar is located to the south of Hebron, with a significant amount of village land usurped by the “security fence” of the neighboring illegal settlement Karmei Tzur, built about five years ago.